Sarah Kahn manages multiple large-scale projects, working alongside communities to design, implement, and evaluate strategies to prevent and end homelessness. Providing technical assistance and tapping into local strengths, Ms Kahn helps Continuums of Care (CoCs) implement strategic plans, leverage and optimize public and private resources, build coordinated systems of care, and evaluate and act on performance data. 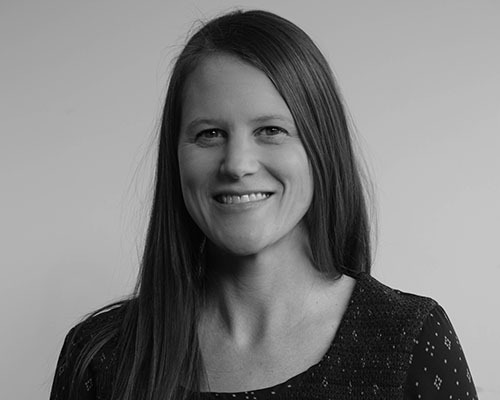 For over 14 years Sarah has worked with the government, nonprofit, and private sectors to improve homeless policy and service delivery in the US and internationally. Ms Kahn has led several government-funded program evaluations and peer-learning initiatives and has extensive experience in training and co-developing policy solutions with local leaders. While working in Washington DC with the National Alliance to End Homelessness, Ms. Kahn directed federal policy initiatives to secure additional funding and policy changes aimed at preventing and ending homelessness. Ms. Kahn began her career co-facilitating a local Continuum of Care while earning her Master’s Degree in Social Work from the University of Kansas. Prior to moving to Kansas, she provided direct services to families at risk of homelessness while earning a Bachelor’s Degree in Social Work from Northern Arizona University.